The banana tree is a true giver, all parts of the plant : the tender bark, the leaves, the flowers , the fruits…. either are edible or they aid in cooking. 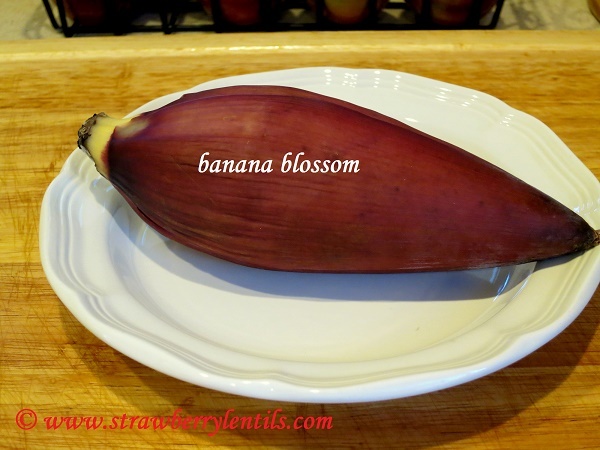 Banana blossoms, rich in antioxidants , flavonoids and vitamin E are found to stabilize blood sugar levels and elevate mood among other health benefits. 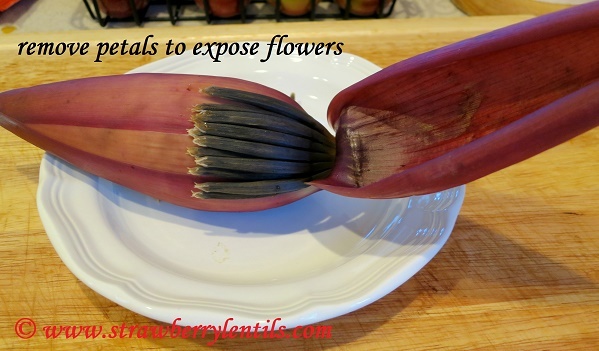 Prepping the flower for cooking can be cumbersome, but its unique taste is completely worthy of the time and efforts. 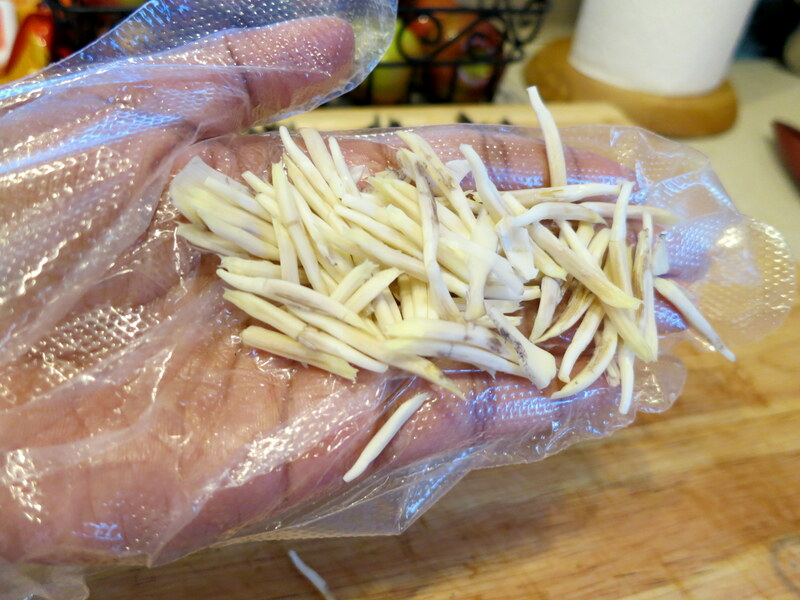 If you are new to cooking with the blossom, this post can show you how to properly prep the flower. 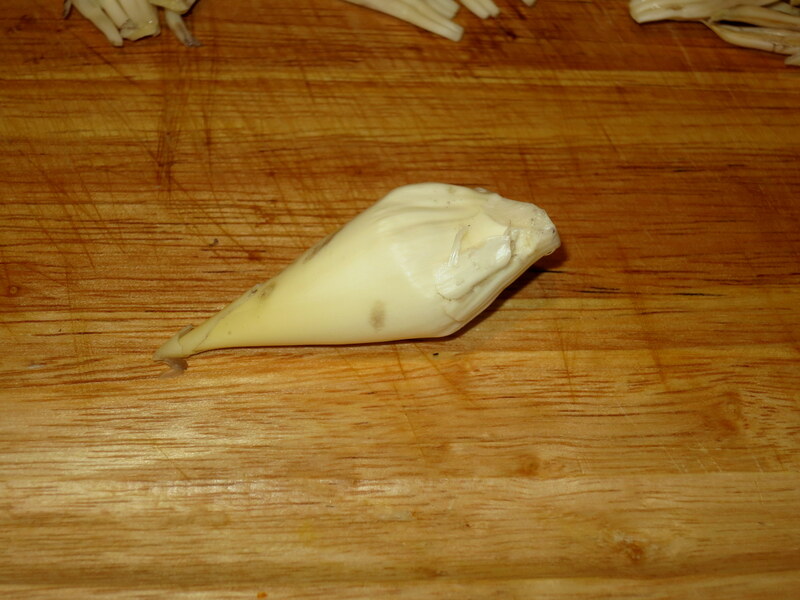 The blossom can be used in stir fries, salads, stews and curries. The most popular concoction is the “vazhaipoo vadai” (crispy patties made with chickpeas and the banana flowers). Though the flowers can be used in any curry, here I have given my mushroom curry recipe, replacing mushrooms with the banana flowers. The petals are layered on top of one another and as you remove each petal you will find the cluster of tiny flowers inside. 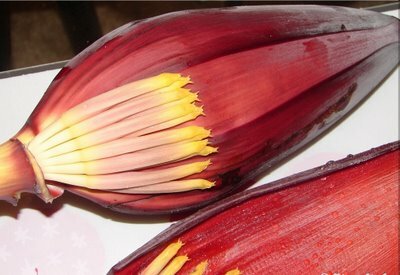 Actually in a fresh banana blossom , the flowers are slightly pinkish (as shown in the image below). 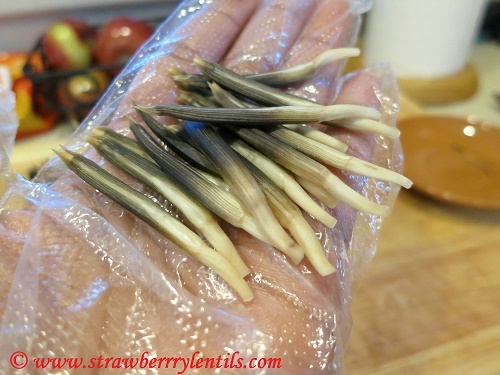 However, the blossoms I get here are either refrigerated or frozen before they make it to the stores, so the black color. However, the color doesn’t affect the taste. As you remove the layers you will notice the flowers getting smaller and tender. Finally you will end up with this beautiful tender bud, which can be either eaten raw or sliced up and used in cooking. 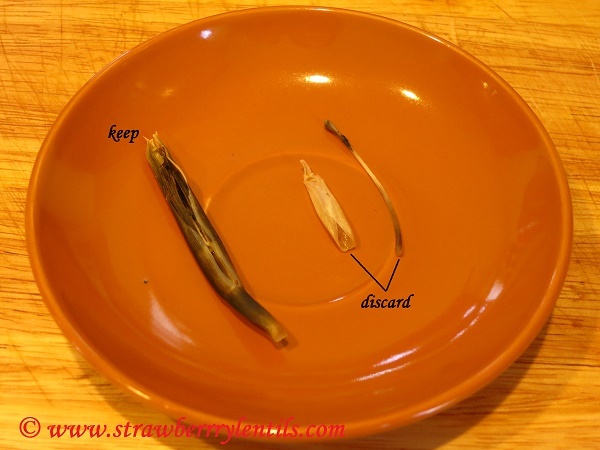 Once you have removed all the flowers, each flower must be individually prepped by removing some unwanted parts (similar to deveining a shrimp). 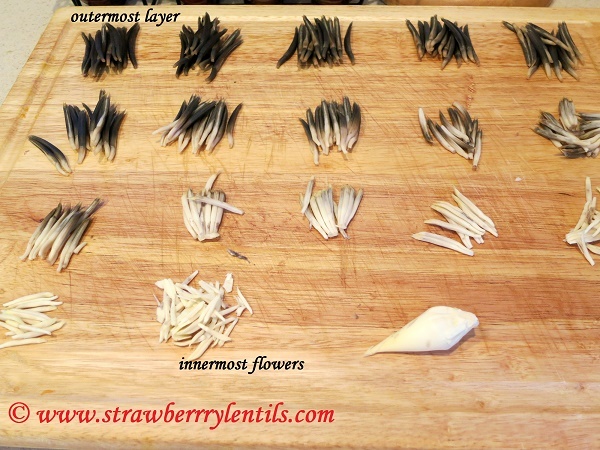 Each mature flower has a stamen and a sepal (a wax paper like layer). 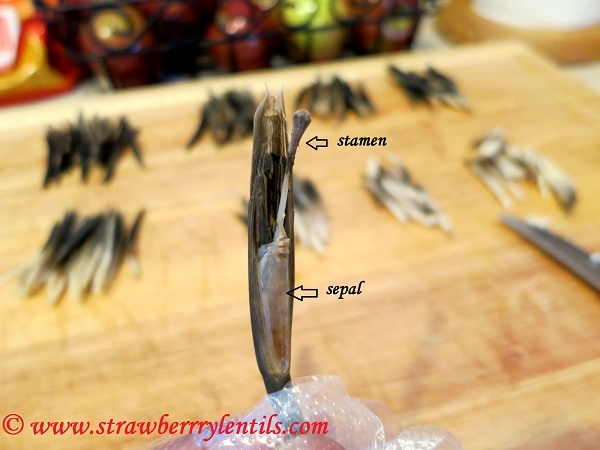 It is important to remove both , as the stamen and sepal will stay raw even after cooking, resulting in an unpleasant texture and taste. It is time consuming but if it is any consolation, only the outer 4 or 5 clusters will have stamen and sepal. The middle clusters won’t have a prominent sepal. The inner flowers are very tender and they can be used as such. Soak the cleaned flowers in diluted buttermilk until you need them. 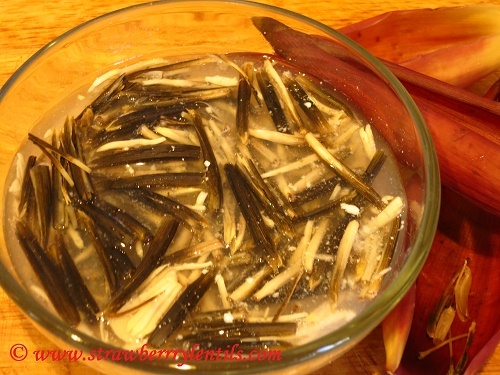 This concludes the prepping of the banana blossom. No matter what you choose to make with them, the above steps have to be done first. I normally make this curry with mushrooms. The cooked flowers have a similar texture to mushroom, so I figured this would be a good choice. 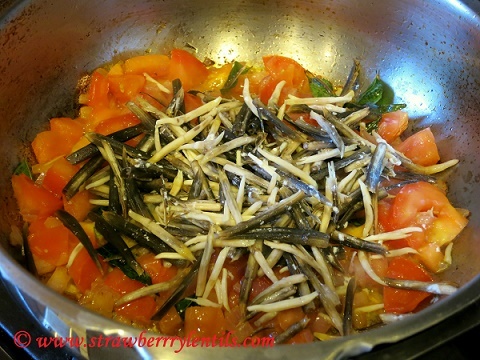 You can add the florets in any curry of your choice. I know thats a lot of ingredients, but they result in a very aromatic curry. No fancy ingredients anyways 🙂 . 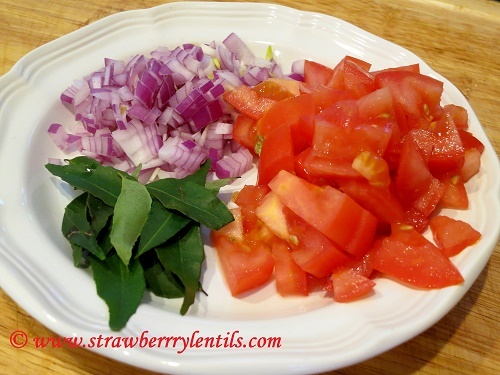 Grind all the above ingredients with little water to make the cooking sauce. 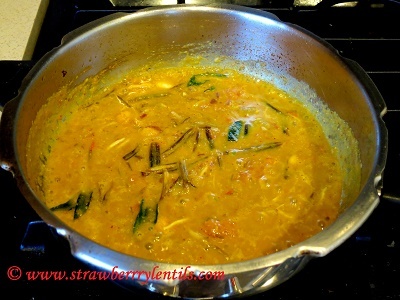 In a pan , heat a 2 tsp of oil, and saute the onions and curry leaves. 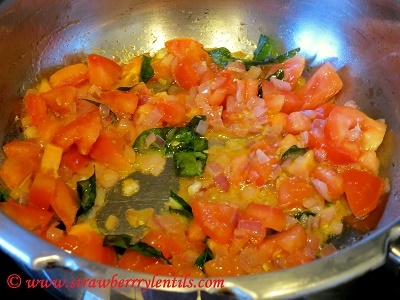 Then add the tomatoes and cook until tomatoes soften. Add the banana flowers (that were soaking in buttermilk) to the pan and saute. Add the cooking sauce , turmeric powder, salt and mix well. Add about half a cup of water and cook until the flowers are tender and oil starts to separate. 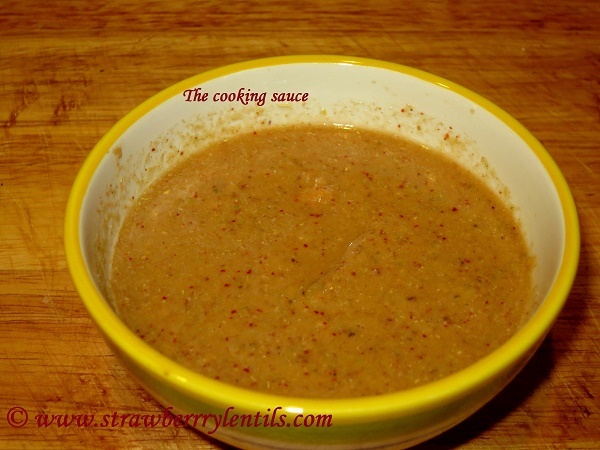 It will take about 15 – 20 minutes in medium heat. 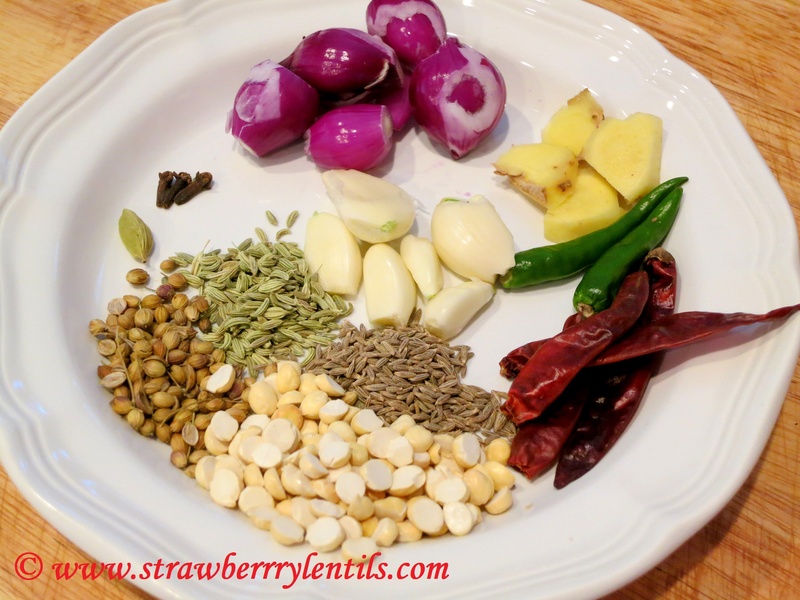 I like this curry for its flavors and also that it goes well with rice, rotis, idli and dosa. 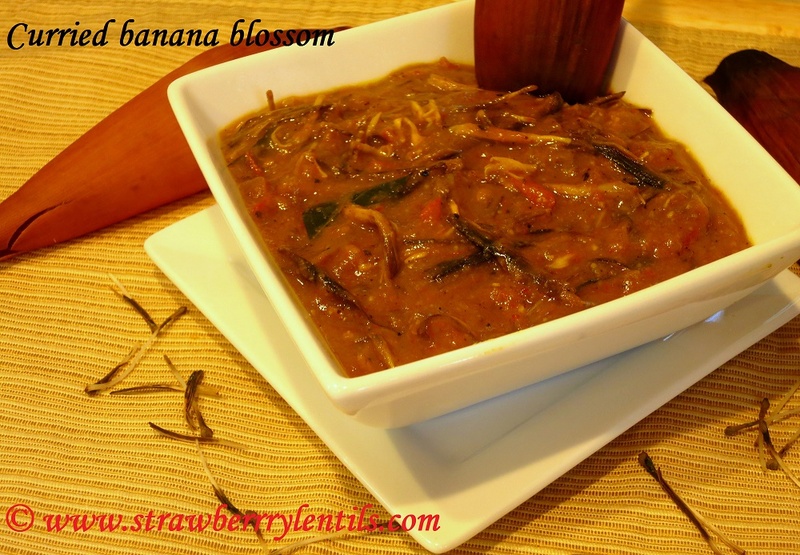 You will definitely appreciate the unique taste of banana flowers in this curry. Hope you try it 🙂 !